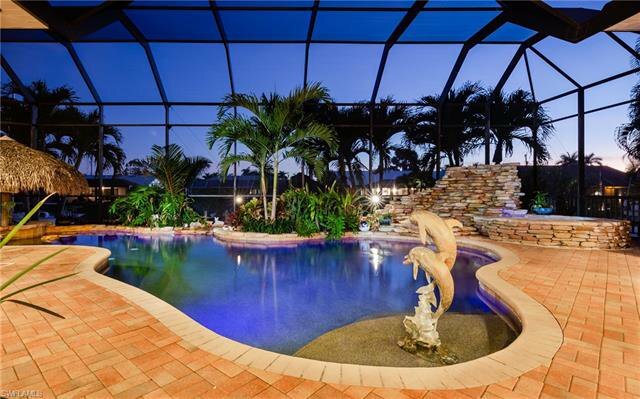 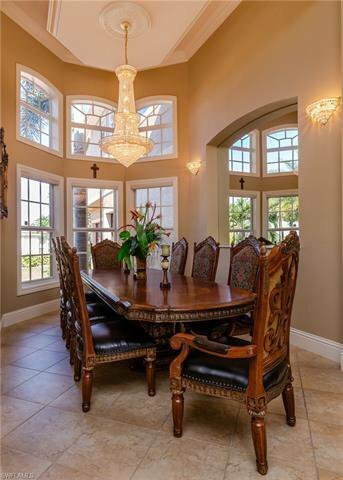 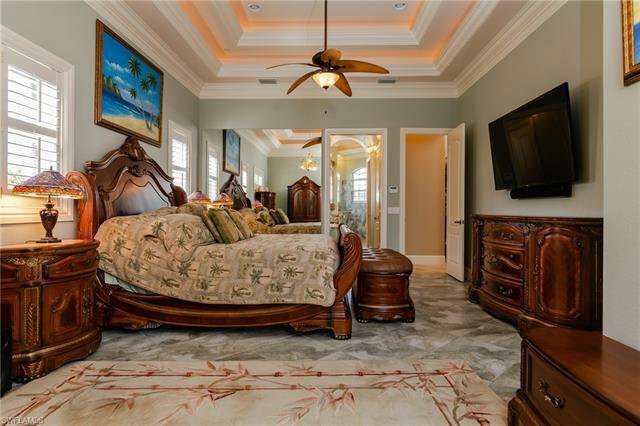 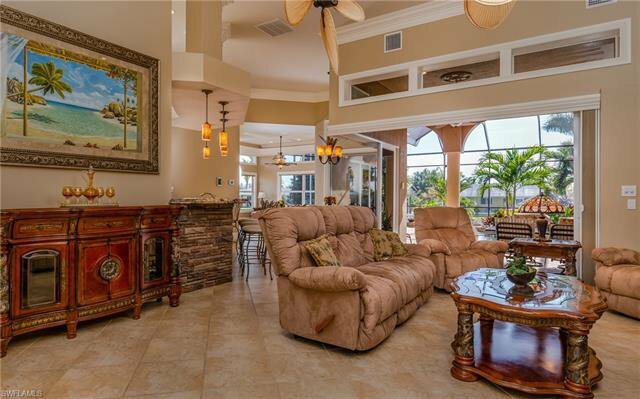 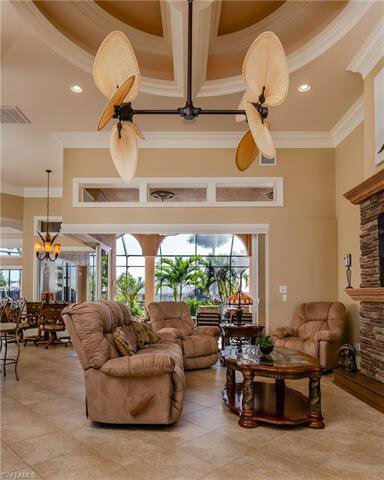 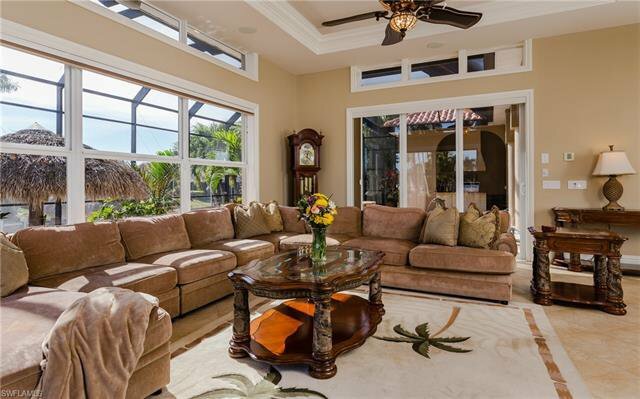 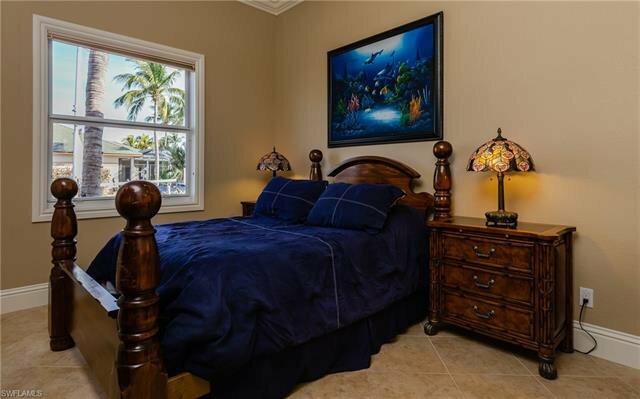 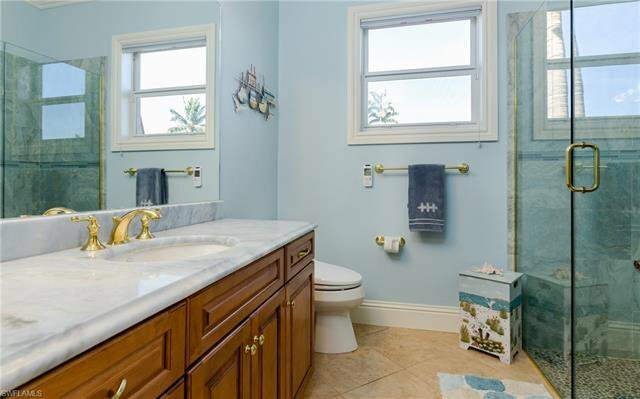 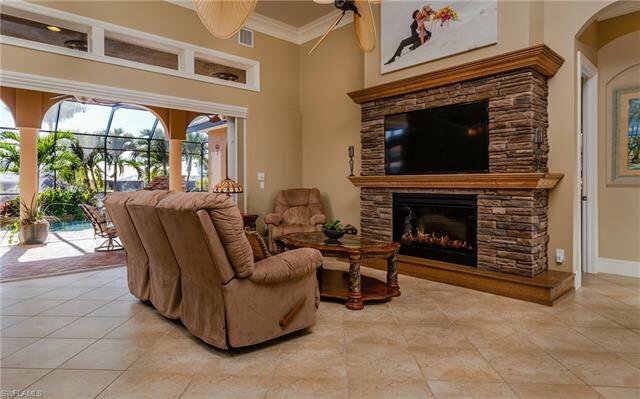 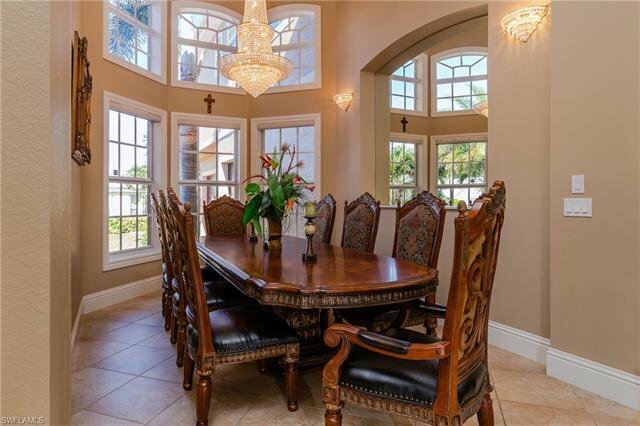 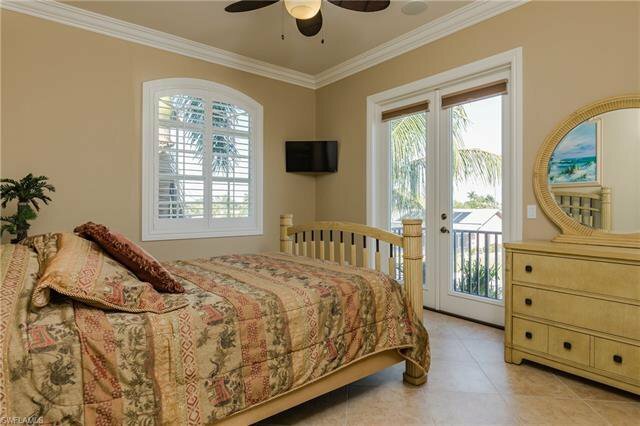 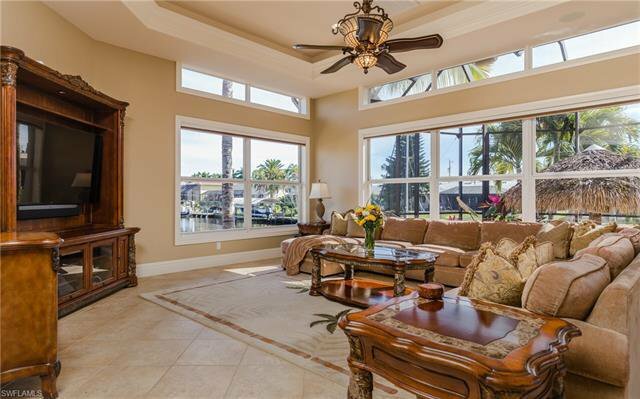 REMARKABLE BELLA BUILT CUSTOM ESTATE HOME IN ONE OF THE MOST SOUGHT AFTER AREAS OF SW FL W/ENDLESS SOUTHERN VIEWS. 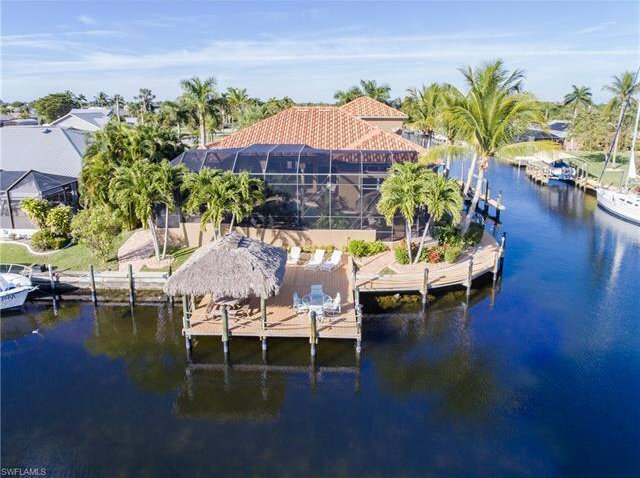 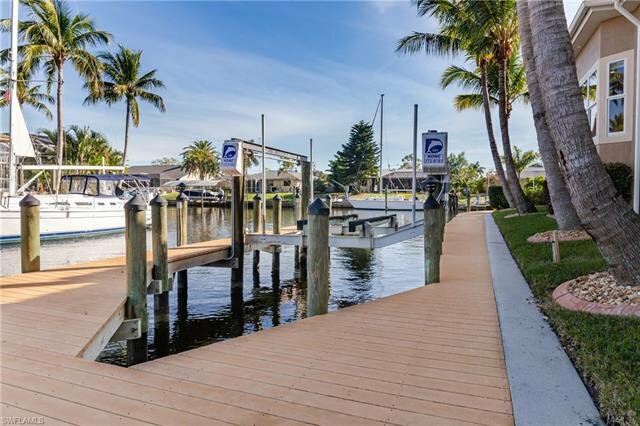 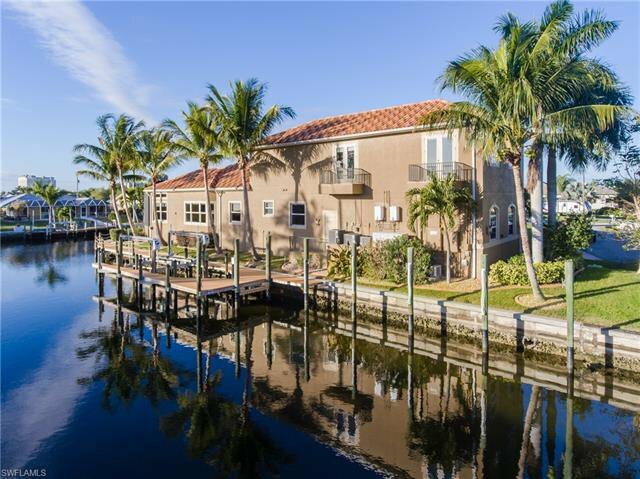 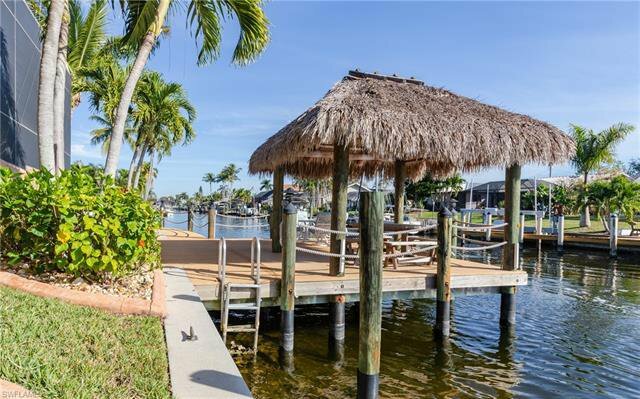 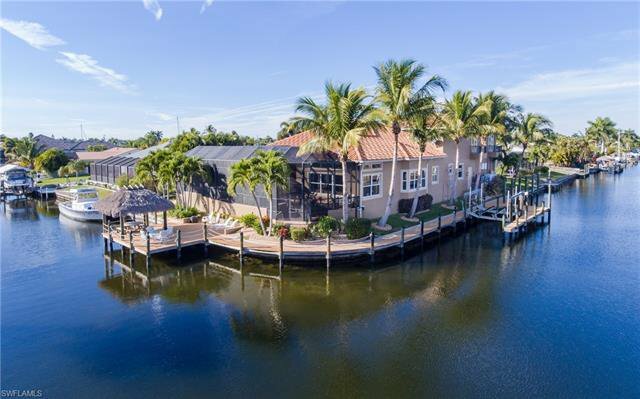 THIS GORGEOUS SAILBOAT ACCESS HOME IS SURROUNDED BY 230' OF WATERFRONT W/ 15K LB BOAT LIFT, BOAT SLIP THAT ACCOMMODATES A 50' YACHT, CAPTAINS WALK & TIKI HUT. 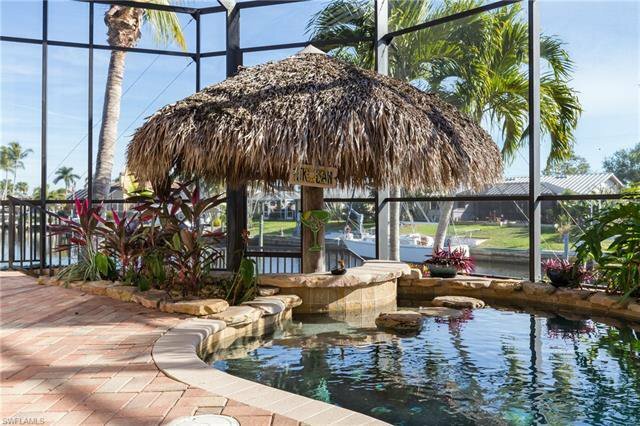 BREATH TAKING TROPICAL POOL PACKAGE INCLUDES WATER FALLS, LAZY RIVER, SWIM UP SEATED BAR W/ TIKI, FABULOUS LIGHTING & WATER FEATURES. 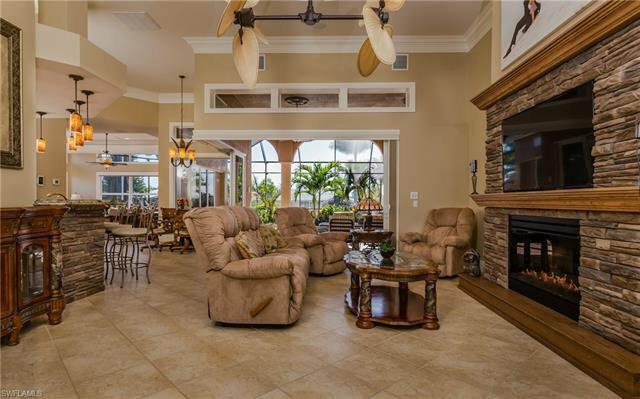 AS YOU WALK THROUGH THE ENGAGING FOYER PREPARE YOURSELF FOR BOTH A SW FL LIFESTYLE LIVING & AN ENTERTAINMENT PARADISE MECA NEXT TO NONE. 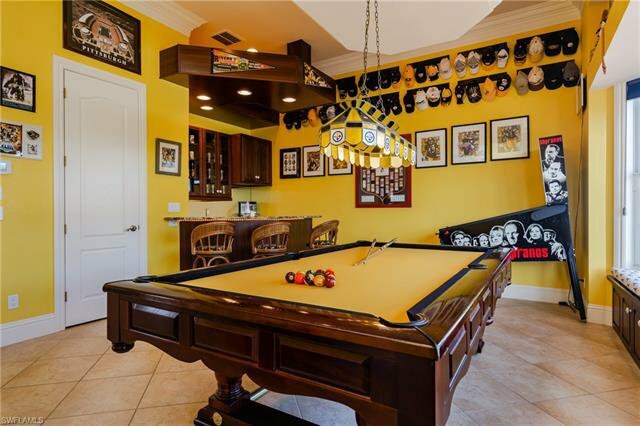 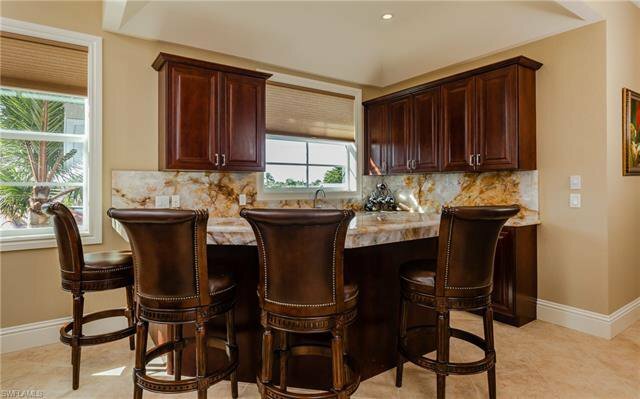 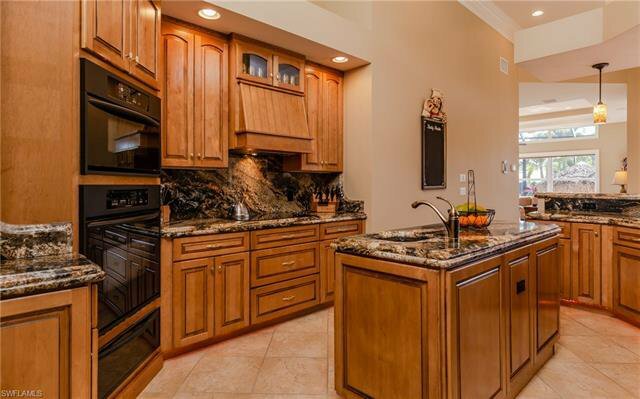 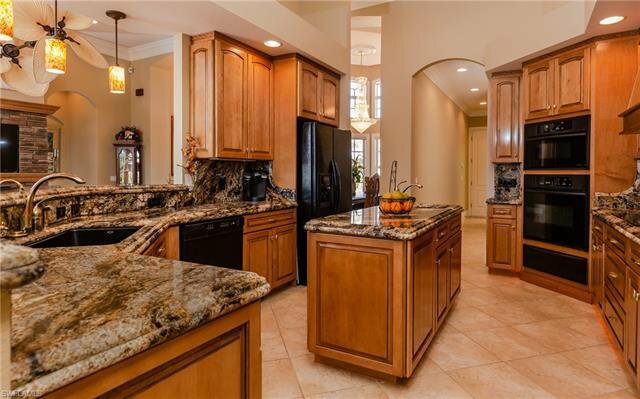 INCLUDES CUSTOM CRAFTSMANSHIP THROUGHOUT, FORMAL LIVING RM W/ FIREPLACE & COFFERED CEILINGS, FORMAL DINING RM, GREAT RM, GAME RM W/ WET BAR & BATH ROOM, GOURMET CHEF KITCHEN W/ HIGH LEVEL GRANITE. 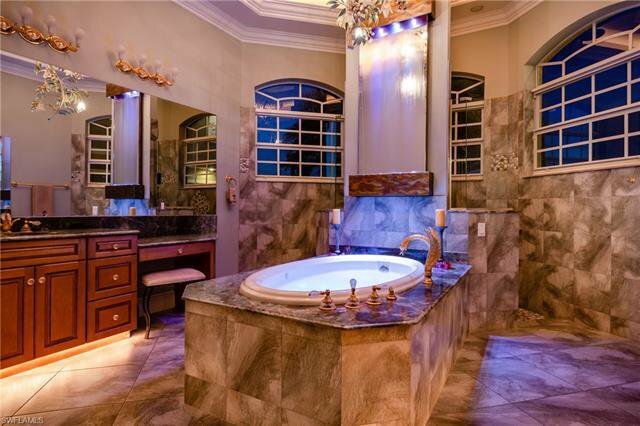 HUGH BEAUTIFUL MASTER BEDROOM FEATURES UNIQUE MASTER BATH W/ HIGH END CUSTOM SINKS, FAUCETS, RAIN FOREST SHOWER, & AWESOME BATHTUB W/ TANTALIZING WATER FEATURE & LIGHTING. 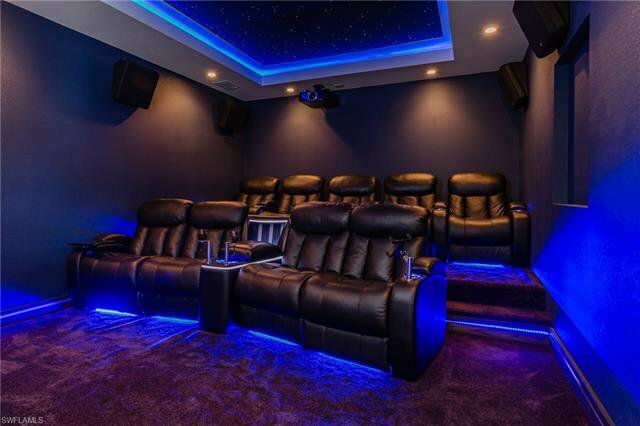 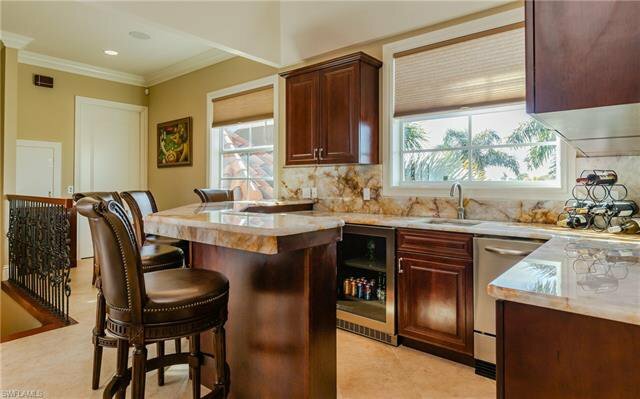 ENJOY THE UPPER LEVEL W/ YOUR AMAZING PROFESSIONAL 9 SEAT HOME THEATER OR RELAX AT THE LIGHT UP ONYX BAR COMPLETE W/ REFRIGERATOR, SINK, ICE MAKER, & CONVECTION MICROWAVE. 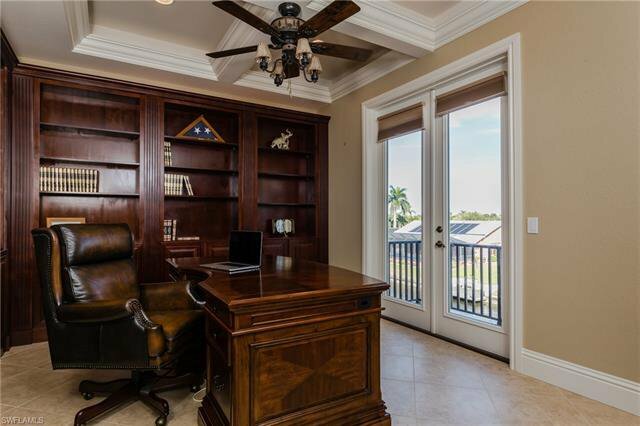 ELEGANT OFFICE W/ BALCONY, FULL BATH & 2 BEDROOMS W/BALCONY. 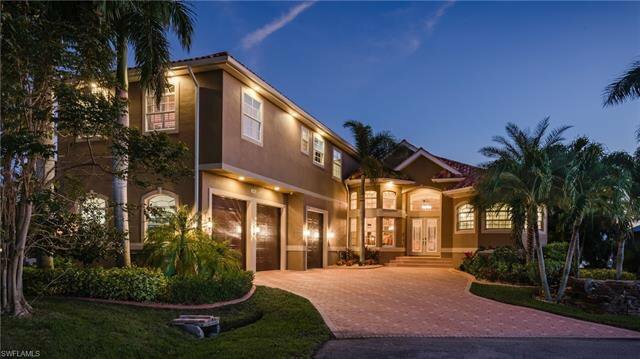 XL 3 CAR GARAGE & HOUSE GENERATOR & MUCH MUCH MORE!! 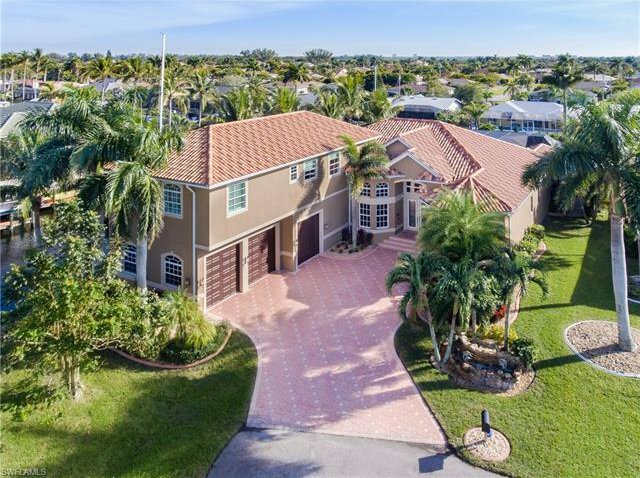 Listing courtesy of Golf Realty Group Inc.